Fiber Artists Coalition (http://www.fiberartistscoalition.com/) presents Some Like It Hot and 13 Ways of Looking at a Blackbird at the Schaumburg Prairie Center for the Arts. Fiber Artists Coalition is a group of Midwestern artists, professional artist members of Studio Art Quilt Associates (www.saqa.com) who have joined together to promote textile art. 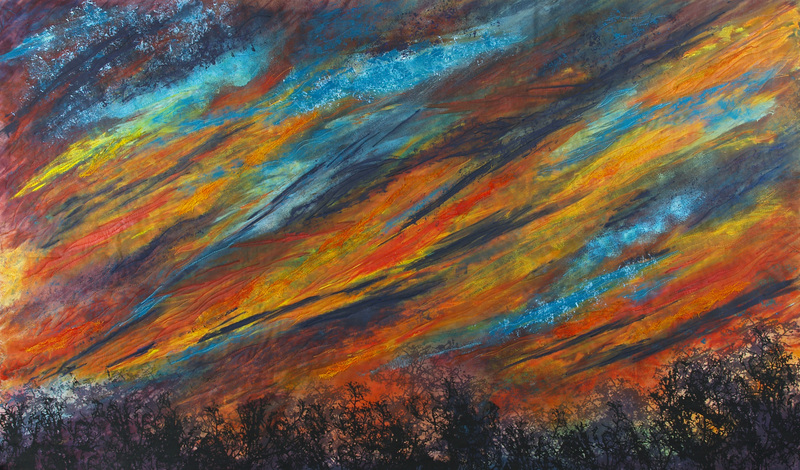 The exhibit runs November 1 through November 27 at Prairie Center, 201 Schaumburg Court, Schaumburg, Il. Join us for the Artist Reception Saturday, November 26, 3:00 – 5. Conversations in Stitch, January 23 through March 20 at the Anderson Art Center, showcases a collection of more than 50 works by members of the Fiber Artists Coalition. A unique feature of this exhibition is the inclusion of “conversation cards” that enable viewers to communicate their comments and questions about the work directly to the artists. 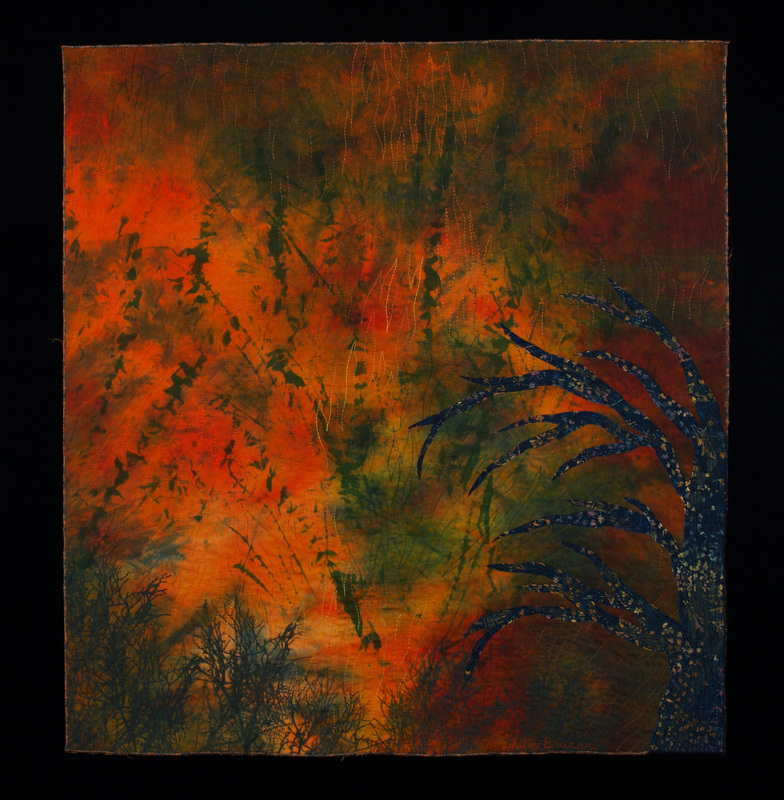 The Fiber Artists Coalition is a group of artists living in the upper midwestern United States. We are all also professional artist members of the the non-profit organization, Studio Art Quilt Associates, Inc. FAC curates exhibits of our members’ contemporary fiber art and arranges for the exhibits to travel throughout the Midwest and beyond. Meet the artists at the Opening Reception: Sunday, January 23, 2011, 1:30 – 4:00. 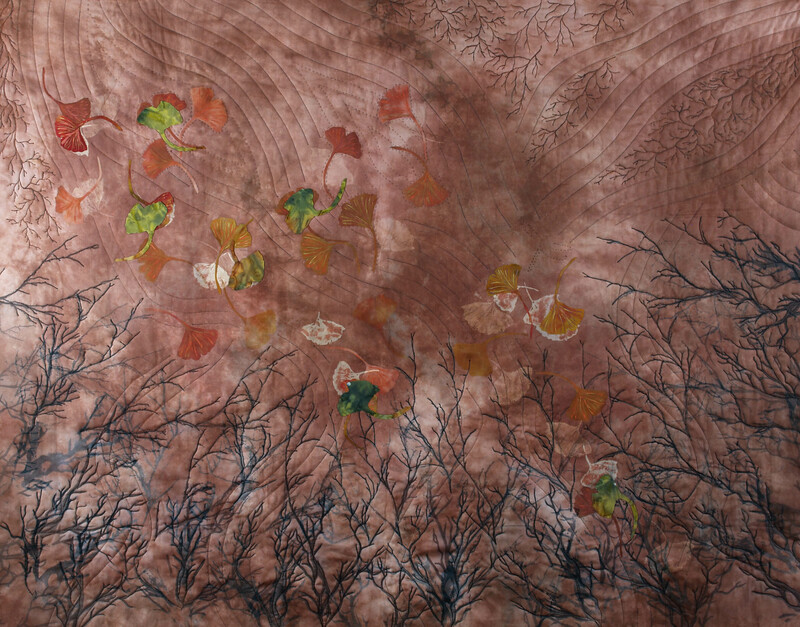 Also opening January 23 at the Anderson Arts Center is Women’s Journey in Fiber. Their current exhibit is “Hats – Wise Women Speak” which features hats that are functional, fashionable, or outrageous created by more than 25 artists. Join us this Sunday. Fine Art of Fiber is presented by North Suburban NeedleArts Guild, Illinois Quilters, Inc., and Weavers Guild of the North Shore. Friday through Sunday 11/5 – 11/7, 10am to 5pm. For more information, please visit www.chicagobotanicgarden.org/fiber or call 847-835-6870. 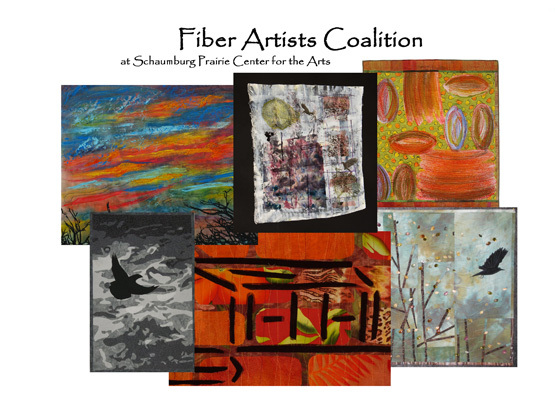 Fiber Artists Coalition has a second opening this month. 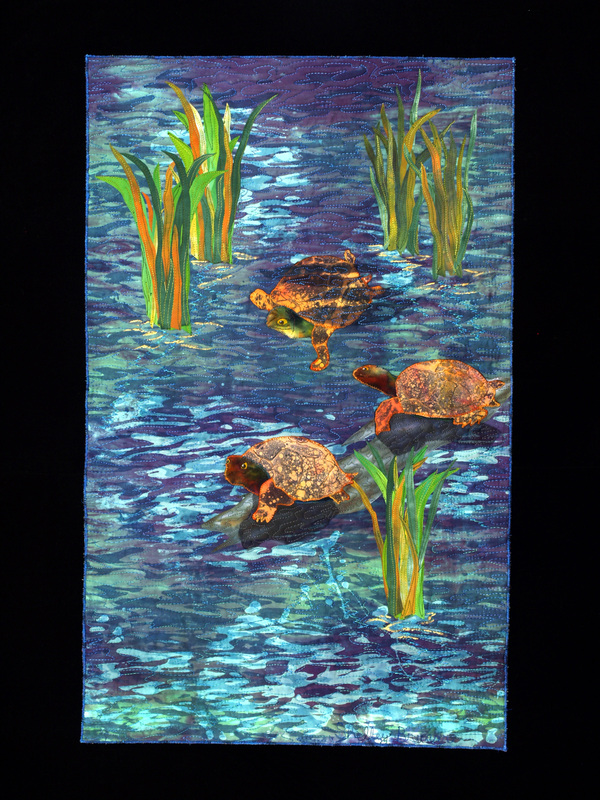 The traveling exhibit, Midwest Meditations which features the work of several midwest fiber artists, is now being shown at the Bloomingdale Park District Museum, 108 S. Bloomingdale Rd, Bloomingdale, IL. Regular gallery hours are Wednesday 4-8, Thursday 10-4, Friday 10-4 and Saturday 12-4. There is an admission charge of $4 for residents and $5 for non-residents. Please join us for the Artists Reception, Sunday, September 19, 2:00 – 4:00. Image above is the 4th (in-progress piece) in my Southern Lights series. This piece has 4 layers so far, with more coming. Saturday, 9/11, from 10am until approximately 1:00, I will be at the Wilmette Festival of Fine Arts. You can find me in the North Suburban NeedleArts Guild tent, where I will be exhibiting fiber art with several other artists including Tracy McCabe Stewart (there on Sunday), Cathy Mendola (there both days), and Women’s Journey in Fiber. The Festival of Fine Arts is held Saturday 9/11 from 10am until 5pm and Sunday 9/12 from 10am until 4pm in the Metra parking lot, Lake Ave and Greenbay Road, Wilmette, IL. Hope to see you there. 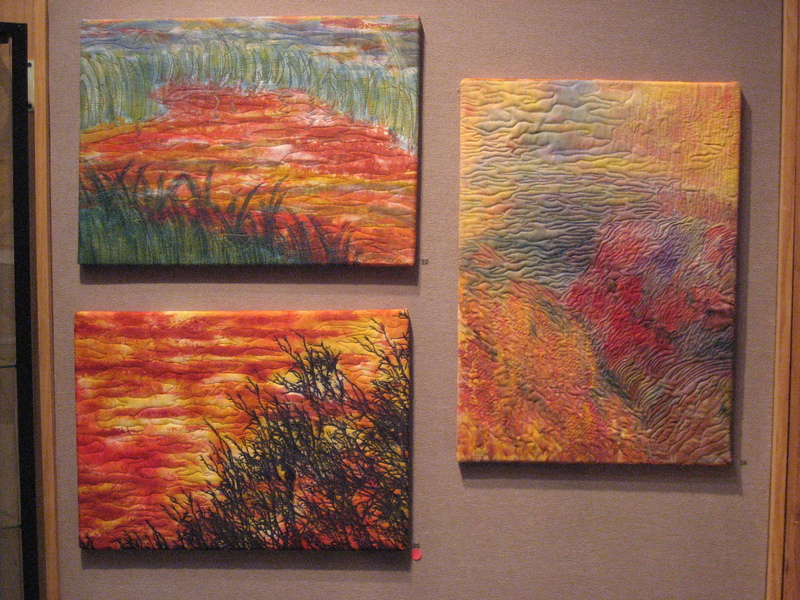 Fiber Artists Coalition is a group of Midwest Region artists from Studio Art Quilt Associates. The FAC exhibit “Some Like It Hot” opens next week at Simply Chicago Art. “Some Like It Hot” features work from 17 members of FAC based on the title theme. Artist interpretations of “Some Like It Hot” were expressed through color, design and message, resulting in a very hot and exciting show. 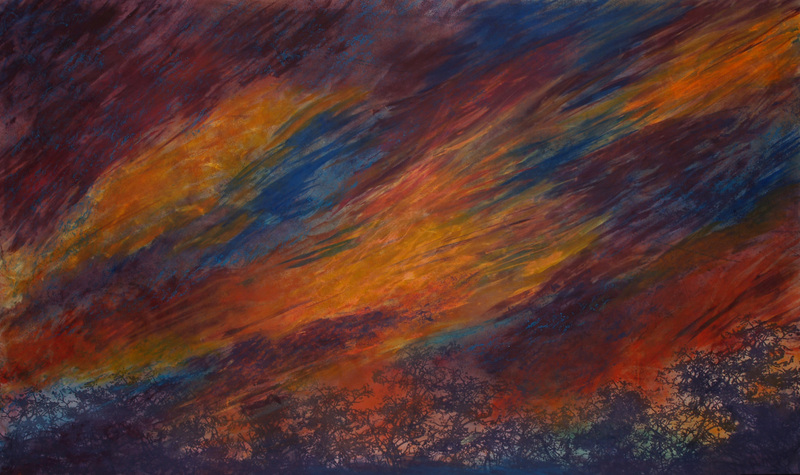 “Some Like It Hot” can be viewed at Simply Chicago Art, 1318 Oakton, Evanston, IL September 4 through 26. Gallery hours are Saturday 11:00 – 7:00 and Sunday 1:00 – 6:00 or by appointment. Please join us for the Artist Reception, Saturday, September 4 between 1:00 and 5pm. 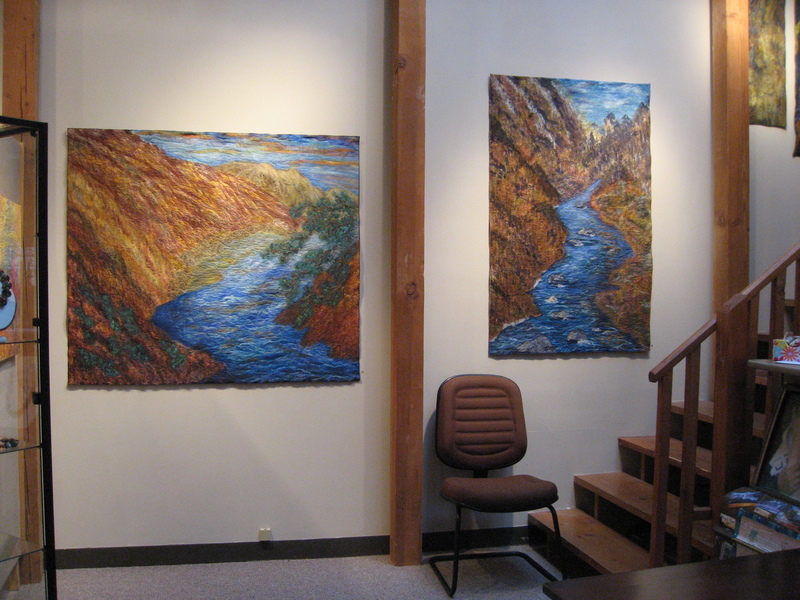 July 31 – August 1 is the last weekend for my Impressionist Landscapes in Fabric exhibit at Simply Chicago Art. 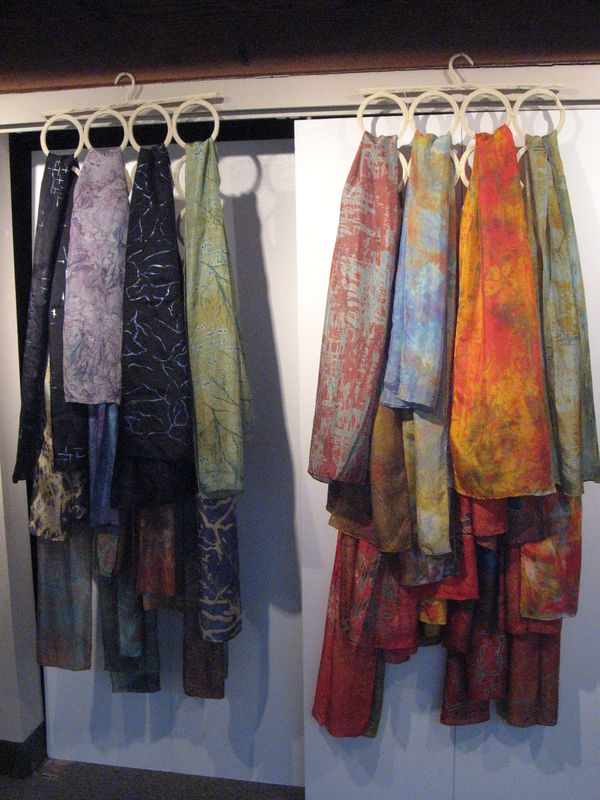 My scarves are also available at the gallery.